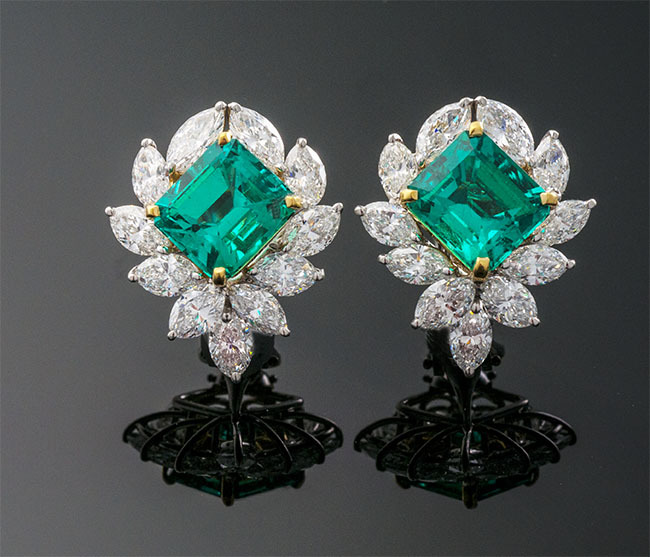 Collections….That "Speak To Your Soul"
Breathless One-of-a-Kind set of Intense Fancy Green Diamond Earrings. 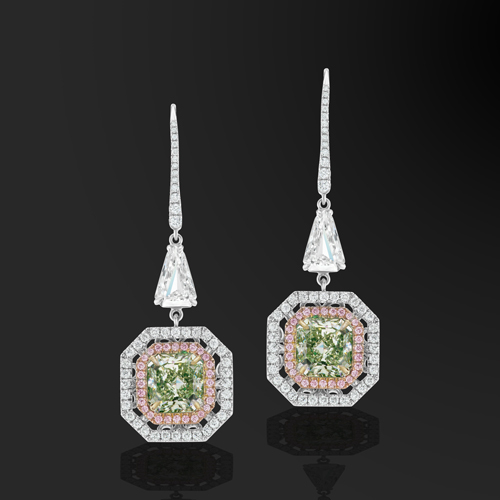 Entailing 5.05 cts of Fancy Green Diamonds Surrounded by .44cts of Pink Pave Diamonds and .70 cts of White Pave Diamonds. 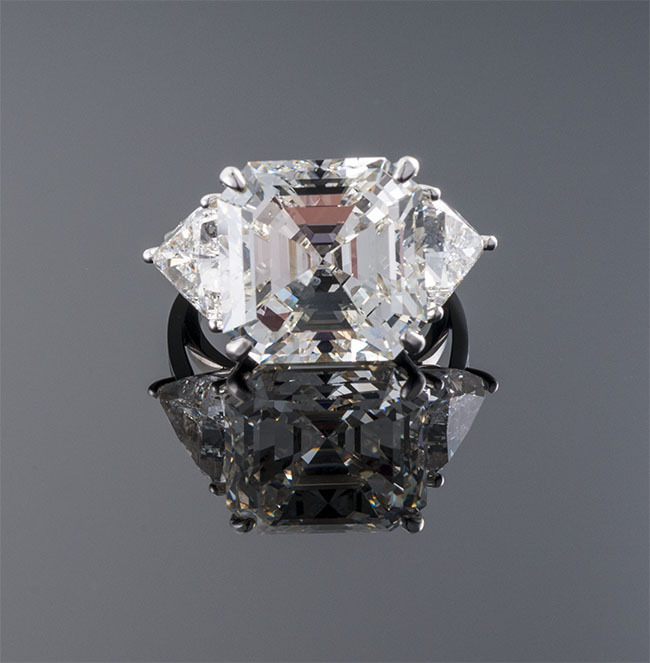 All Highlighted by Suspended 1.27 cts of matched White Diamonds. 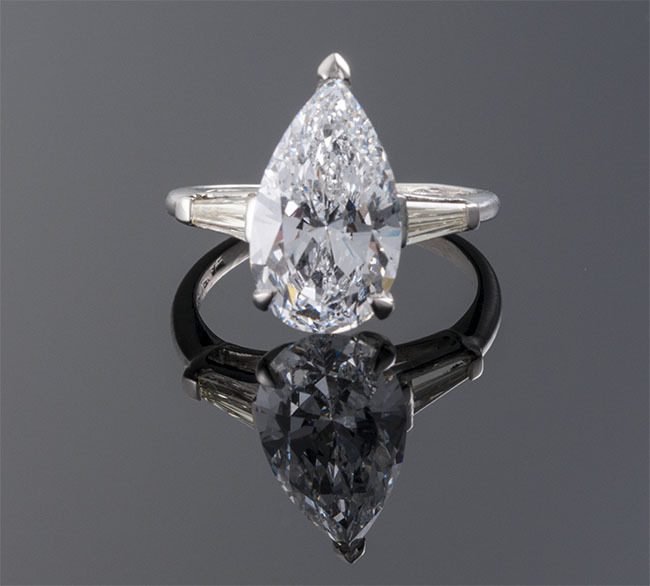 Set in 18k Yellow Gold and Platinum. App wts. 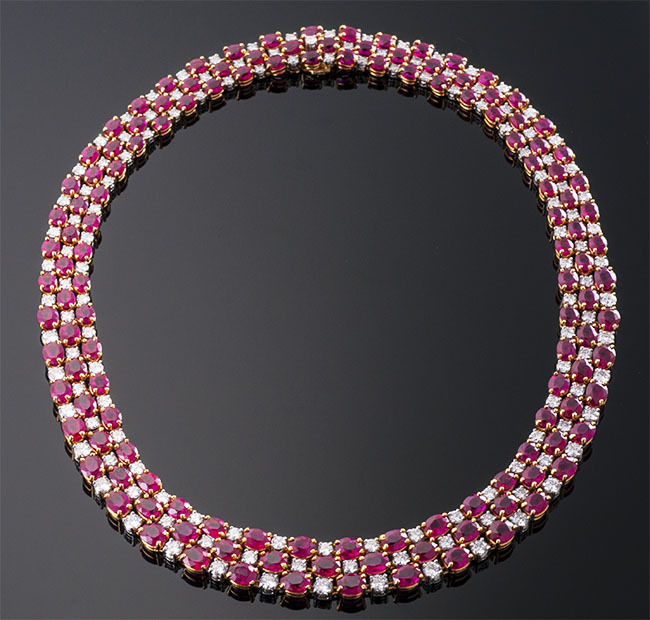 Stunning Ruby & Diamond Necklace comprising of 81.80 cts of Burmese Rubies enhanced with 15.74 cts of parred Diamonds crafted into a Regal 16” x 13.5mm Necklace. App wts. 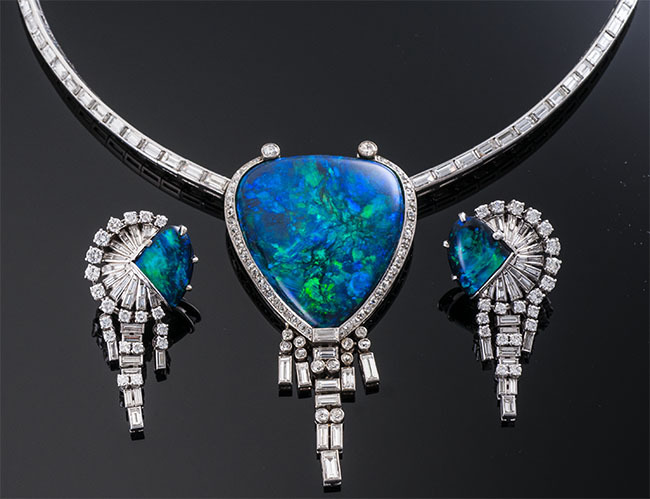 Stunning 65cts of Black Opals surrounded by 20cts of Diamonds set in Platinum, app. wts. 67X35 mm, 41X20mm. 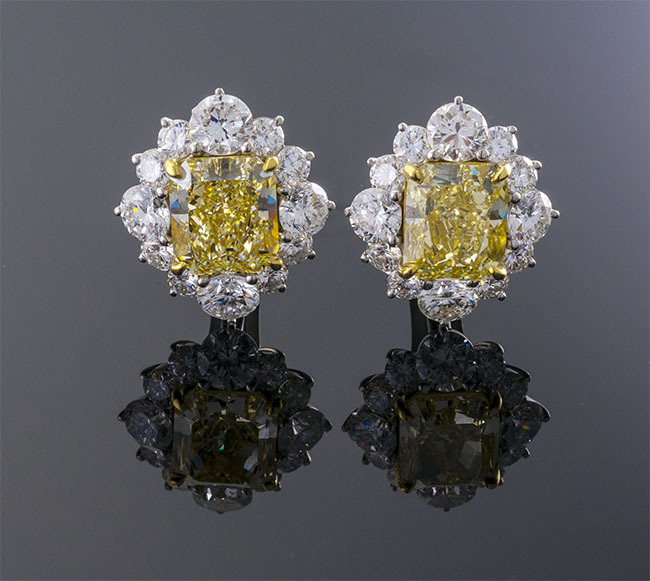 Set in Platinum and 18k yellow gold. App. wts. 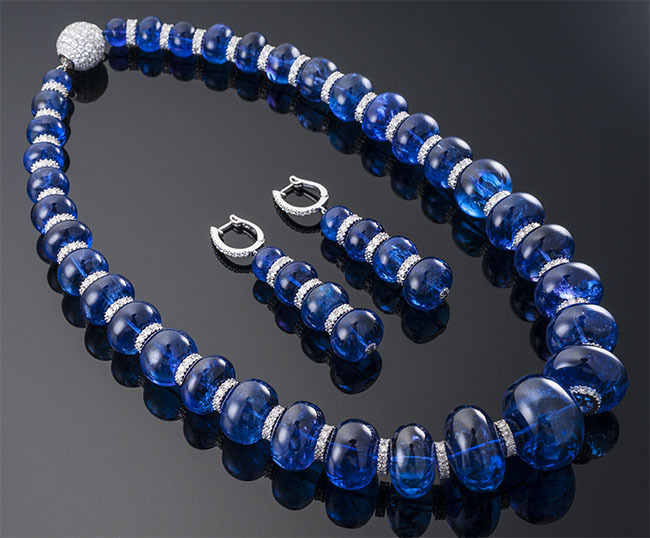 Perfectly crafted, Graduated Tanzanite Beads of 925.10 cts & Diamond Roundels of 17.51 cts set in 18k white gold, to designed 18” and 9.5 to 25.0 mm set. All set in 18k yellow gold and Platinum. 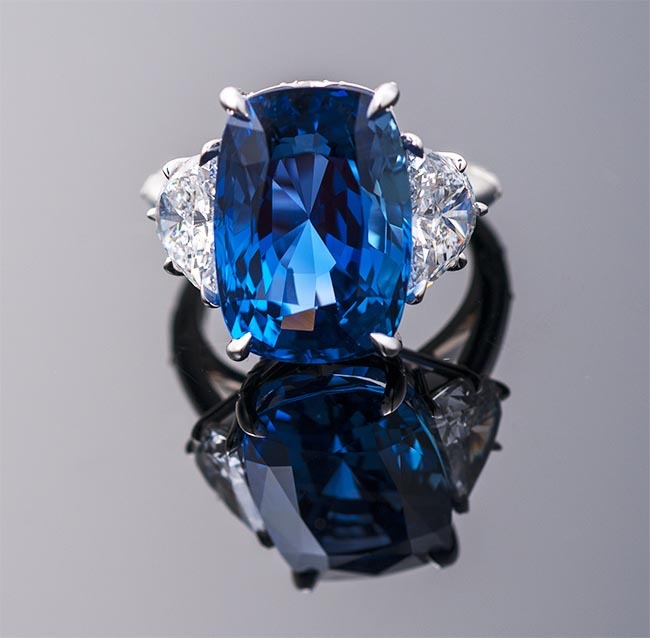 Yellow Diamonds VS1-2. App. Wts.